Pelican Brewing Company scored Gold and Silver medals last weekend at craft beer’s newest awards event, Best of Craft Beer Awards held in Bend, Oregon. The celebration is the newest homage to the best in craft brewing with 96 of the finest West Coast judges awarding 262 gold, silver, and bronze medals to 162 breweries in a total of 90 categories. Pelican’s flagship brew Kiwanda Cream Ale, Pre-Prohibition Cream Ale, which is a big Pelican winner with 56 medals, wins Gold in the golden and blonde ale category. Queen of Hearts, Saison Ale aged in Gin Barrels was honored with a Silver medal in the wood- and barrel-aged pale to amber beer category. Both of these beers were awarded Silver medals at the same event in 2018. Professional brewers and judges last weekend descended upon the growing beer town of to judge entries from breweries in 33 states. 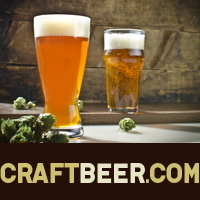 Carefully selected BJCP judges, vetted brewers and guest judges from the craft beer industry awarded 262 medals to winning breweries from 33 states. The post Pelican Brewing Company Scores Gold and Silver Medals at Best of Craft Beer Awards appeared first on CraftBeer.com.